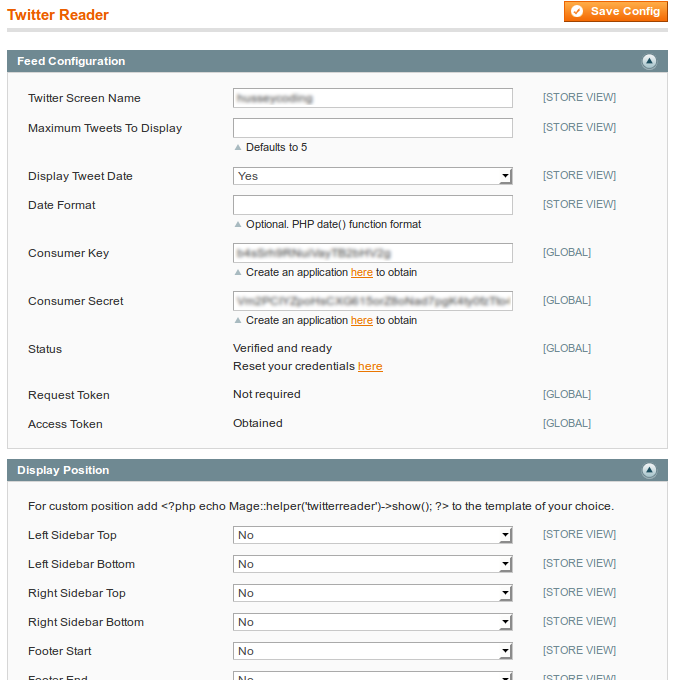 Hussey Coding is proud to announce the launch of its new Magento extension Twitter Reader. Integrating seamlessly with the latest Twitter API technology this extension allows you to quickly and easily display tweets on any page and in any position. Setting up communications with the Twitter API is made straightforward with the extension including simple links and instructions and how to grant your Magento store access to your tweets. Detailed admin information also tells you the status of communications with the Twitter API and allows you to reset access if you decide you want to alter or create a new Twitter application. Admin settings allow you to include dates in your tweets, set the number of tweets to display, and configure communications with the Twitter API. You can also set blocks of tweets to be output to your store in a range of fixed positions, or any position of your choice using the custom option. 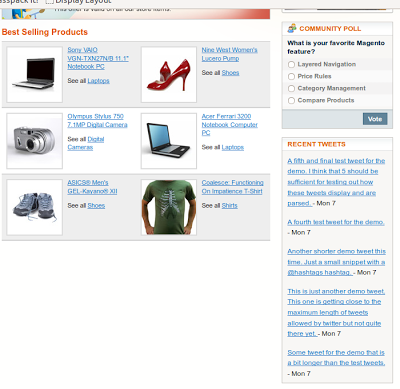 The extension is compatible with Magento 1.4.2.0 and above. 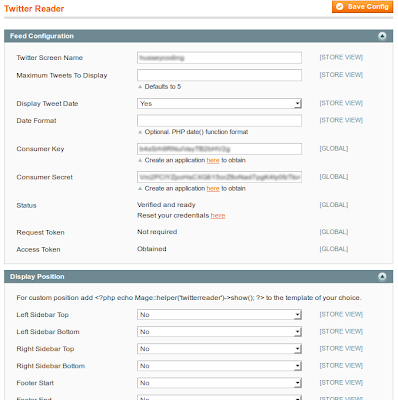 You can view a quick video demo of it here, view all Hussey Coding extensions including this one on Magento Connect, and you can purchase Twitter Reader here.